Marching to the beat of a different drummer often boils down to feeling, acting and/or thinking ‘outside the box’. Outside the box can at times appear amoral, apolitical, asexual, aesthetic, areligious, acultural. As with all things fundamental, I suspect that ‘taoists’ are born, not made (see Small ‘t’ Taoist). That’s because one needs to be impartial enough by nature to see the universality of life. We all lie somewhere along the spectrum, from the conventional group-oriented to the idiosyncratic and trans-tribal, i.e., “beyond” tribal. My experience tells me that most of us are predominantly normal group oriented tribal animals. Chapter 20 portrays the contrast well… The multitude are joyous as if partaking of the ‘Tai Lao’ offering or going up to a terrace in spring. I alone am inactive and reveal no signs, and ends with… I alone am foolish and uncouth. I alone am different from others and value being fed by the mother. I don’t doubt everyone can relate to both ends of this spectrum; it is just a matter of degree. Even so, there are more people at the normal end — and naturally so. We’re a very social species after all! The vast appeal of mainstream religion is a perfect ‘tell’ on our tribal nature, as is the lack of appeal for the Taoist point of view. However, perhaps that will change over time. The only reason I dare say that stems from the historical origins of Islam. I suppose that sounds farfetched considering how group oriented and tribal Islam seems. 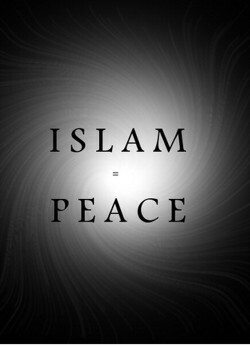 In that regard, Islam is not different from any other mainstream religion. Indeed, I consider Islam and Christianity as essentially other facets of Judaism. Judaism in turn is likely an offshoot of Zoroastrianism, a 4000 year old Persian religion and the world’s first monotheistic faith. At any rate, consider these two overviews on the origins of Islam. Afterward I’ll link this up with the “Trans Tribal Tao”. #1 The basic teachings of Muhammad emphasized Islam as a trans-tribal fellowship, a harmonious community whose inner peace was safeguarded through regulated legal relations that closely mirrored the contractual outlook of the merchant class. Muhammad also mandated and expanded earlier techniques of wealth redistribution through elevating almsgiving to a religious duty. While presenting Islam as the last chapter in the history of monotheism, Muhammad also operated in a territory that was far removed from imperial or great power centers. Central western Arabia in Muhammad’s time was becoming increasingly connected to world trade routes, but being situated deep in the desert, remained independent of the great powers of the time. The context in which Muhammad operated, therefore, provided for the emergence of a new type of political community, one that was not based on imperial politics but rather on overcoming and reworking Arab tribal traditions and integrating various classes and social groups under the banner of a new religion that gave them a sense of common and universal identity, binding contractual relations, and solidaristic practices and attitudes. #2 In the first real Islamic com­munity—Medina under Muhammad—we could already see this dynamic of a trans-tribal umma being formed by an outsider. Muhammad succeeded bril­liantly in Medina, where the conflictual tribes, needing common adjudication, all expressed faith in Islam before even seeing the prophet, who at that point had absolutely no more prospects in his hometown of Mecca. In other words, a trans-tribal society could be built only by someone with an ideology tran­scending the particularities of any specific tribes. The success of early Islam consisted to a great extent in its ability to graft a common spiritual language on all trans-tribal, voluntary public spaces of the pre-Islamic era in Arabia. All pre-Islamic institutions of peace, trade, and civic life that had been organized above the level of the tribe, such as the haram of Mecca, the pilgrimage, and the sacred months, were simply absorbed into Islam. Even more remarkably, Islam incorporated such common spaces with-out elaborating a clear doctrine of a common state. What strikes me here is how the intense small-tribe nature of nomadic Arab people became problematic at some point. The times were ripe for a more inclusive trans-tribal point of view (1). Muhammad was in the right place at the right time with the right framework. Similar paradigm shifts have occurred for tribal Europeans, Indians, Africans, Asians — everyone really. Such shifts, like from pagan to Christian, seem to work well — until they don’t and war breaks out! People adopt new paradigms when necessary; “necessity is the mother of invention” is no empty saying! The people of the world are fast approaching a point where the current cultural structures (group / tribe) of politics, religion, and all the rest are becoming more problematic, just as the Arabian social norm did at the time of Muhammad. While a more ‘taoist’ paradigm may supplant the tribal ones of today, people will still lie somewhere along the spectrum, from the conventional group-oriented to the idiosyncratic and trans-tribal. Alas, that means peace on earth is no more likely to occur under a ‘taoist’ paradigm than it has under current and previous ones. There may be more peace on earth going forward, but it won’t be due to a new and improved paradigm or genetic evolution (3). What will bring about peace on earth? Ah, that’s a story for another time. (1) I mentioned to my family a while ago that I reckoned I was ‘trans-tribal’ by nature. Right off, they said that was not a real word, so I Googled it and found very interesting references to Islam. I suppose if Islam could actually pull off its trans-tribal intention I would join up. Of course, that goes for the other religions as well — if reality matched their ideal, I would join. Of course, I guess such a trans-tribal group would be ironic and oxymoronic. From as far back as I can recall, I was never able to seriously join any ‘group’, whether it be school sports, clubs and cliques, or later, religion, politics, clothing styles, you name it. Happily, my mind found Taoist thought and joined up, so to speak. Chapter 21 says, As a thing the way is shadowy, indistinct, indistinct and shadowy. As we can see, the Tao Te Ching outlines a trans-tribal point of view that is not at all conducive to tribalism, and so it really was a faith of last resort for me. (2) I took the liberty of capitalizing Electric Revolution since I regard it as perhaps the most significant change in hominids since the harnessing of fire some 500,000 + years ago. The changes that lie ahead over the coming millennia are nearly unfathomable. Heads up… when the people lack a proper sense of awe, then some awful visitation will descend upon them, as chapter 72 cautions. (3) I’m only referring to a cultural evolution. Genetically ‘improvements’ to our species are probably impossible because the necessary evolutionary bottleneck is very unlikely to occur now. I use the Chinese original, not an English translation. That permits a more straight forward way to contemplate what we call a Taoist point of view. My personal experience is the only reliable reference I have to know what is, and what is not. And that changes as experience matures over time. I have no interest in contending with the tribal politics. I see it, understand it, which is why I can’t take it seriously. I see this sect or that sect holding to this or that point of view, and contending; who is right, who is wrong. Such squabbling originates in human tribal instinct. I just happen to have been born with significantly less of that genetic trait, I guess. I think what you offer will appeal to those folks who are looking for that point of view. Those who look for the point of view I tap into will find my words useful. There will be many many more folks drawn to yours than mine, to be sure. I just want to let you know that I will not be one of them. Nor would I think you’d have any interest in what I offer. Let’s just say, you offer chocolate, I offer vanilla (or visa verse). Pretty insightful post, but have you ever thought of the so called Tao Te Ching is not about Tao but Tao Te instead? The word Tao Te means virtues, not tao. Have you ever thought that all the English translation of this is book is just wrong due to Quan Zhen Sect Taoist influence? I welcome you to read two articles, if you wish. Not trying to say you are wrong there, just some other perspective and insights for you if you feel like reading more about Taoism. Great blog, keep it up! Perhaps we don’t need to “annihilate” our tribal instincts—but, manage/moderate them for the benefit of all God’s creations. Well anon, what a fine conversation we’re having here. I totally agree with you on the need to manage/ moderate our instinctive responses. Alas, history demonstrates we fail miserably at this. Ironically, I think part of our problem lies in that we have often tried to “annihilate” (or just deny) our instinct driven nature. Contending with what is naturally so always backfires and may account for why we end up making life more sorrowful than it need be. Why we fail to succeed is the question I like to ask. The Tao Te Ching points to why we continue to fail to achieve what most of us sincerely want. As Rodney King said, “Can’t we all just get along?”. Alas, no! And the platitudes usually offered for why fall dismally short as answers. They speak more about the ideal of what we want, not of why we fail. For example, Christ’s “Love thy neighbor as thyself” is a feel good ideal, but tells us nothing about why we can’t actually do this. Same goes for the 10 commandments, all the “thou shalt nots…” without any mention of why we can’t live up to these ideals. Being so stuck on the ideal of what we wish for blinds us to why we can’t get there. Until we face why straight on we’ll continue to fail. This is not really different from an addict who can’t see himself honestly because he is focused so much on what he wants. Our ideals blind us from perceiving the real. The Tao Te Ching offers a few key observations that drill down deeper into the why (some of which parallel Bhudda’s four thruths). . .
1) We think what we believe to be true is actually true, e.g., Not to know yet to think that one knows will lead to difficulty. 2) Excessive certainty in what we belief is true leads to action which end in unintended negative consequences, e.g., Woe to him who wilfully innovates while ignorant of the constant. 3) On the other hand, When your discernment penetrates the four quarters are you capable of not knowing anything? and so therefore the sage keeps to the deed that consists in taking no action and practices the teaching that uses no words..
4) “To know yet to think that one does not know, is best”. This naturally leads one to do that which consists in taking no action; pursue that which is not meddlesome; savor that which has no flavor all the more. 5) I see the Islamic avoidance of graphical representations of God to be a step in the ‘right’ direction. The Tao Te Ching takes this a step further by beginning as no other scripture can afford to do (I guess) with the ultimate disclaimer of what it says, e.g, The way that can be spoken of is not the constant way; The name that can be named is not the constant name.. Note how chapter 4 addresses the question of God. I know not whose son it is. It images the forefather of God..
6) And finally, just to put my whole diatribe here in proper taoist context. . . One who knows does not speak; one who speaks does not know.. So, anon, there’s not much I can say following that. Of course knowing this doesn’t stop me from speaking. In the end, I don’t speak about what I know, I speak about what I feel. Perhaps we don’t need to “annihilate” our tribal instincts—but, manage/moderate them for the benefit of all God’s creations. For example, —the Quran advises”…to each among you have we prescribed a law and an open way. If God had so willed, He would have made you a single people but (his will is)to test you in what he has given you: so strive as in a race (competition) in all virtues. The Goal of you all is to God…..” elsewhere the Quran explains that the reason for our diversity is so that we can learn and grow in compassion, mercy and tolerance towards one another. The Tao te Ching also echoes this idea when it advises ” The way of heaven, benefit all, harm none”. The interesting thing about the concept of One God (monotheism) is that is provides the potential for overcomming tribalism….Because the God worshipped by all believers is in reality the SAME—irrespective of the diversity of explanations of “God”. I agree that IF everyone acknowledged “god” was the SAME irrespective of the name the ideal would be realized. What strikes me is how enduring the ideal is despite thousands of years of history demonstrating that our tribal instinct overpowers our good intentions. Once emotion takes hold in consciousness, reason flies out the window. I don’t see us getting anywhere as a species until we at least accept the reality of who, what, why and how we are rather than the dream of what we wish we were. Accepting how things are is a baby first step to actual resolution. This tribal ‘problem’ shows up in every aspect of culture: politics, music, food, sports, clothes, professions, etc… as well as religion. Indeed, I kind of lump all these together as symptoms of our tribal nature acting out in these various ways to form and sustain tribal identity. Oh dear… how did it get to be 2AM already? The purpose of worship(religion) is to benefit the soul and through the growth of spirituality in humans to benefit all of God’s creations. This concept in the Quran is also echoed in Eastern religions such as Hinduism, Buddhism, Shintoism……and …..
any interfaith conversation between the three soon establishes that there is more in common between Judaism and Islam than either has with Christianity. Thanks for filling in some more history. As far as the differences vs. similarities between the three faiths, I certainly see how an interfaith conversation between the three would see more of the former. From my vantage point, the similarities stand out. Perhaps if they could step back a bit more than they do they too would see the vast similarities, agree and coexist peacefully. While comforting in principle, this is impossible in practice, and naturally so. Tribal instinct runs way too deep in our species for any meaningful broad based ecumenicalism. I notice a particular irony in all this. The great faiths were established by their founders as a path of peace and unity. In practice, following a particular faith inevitably brings you into at least subtle contention with other faiths. Believing one’s faith is the true path makes any other faiths or paths less true, if not false. To eleborate on point 2—The situation at the dawn of Islam was that there were tribal wars continuing on for generations with no end in sight—the situation was particularly bad in Yathrib (Medina) which is why the Prophet(pbuh) was invited there to arbitrate and bring peace. He brought with him Meccan followers. This influx of new people into an already strained society could have added to the problem—but it did not because right from the beginning, the Prophet(pbuh) established a system of “brotherhood”(mentoring) so that the transition occured more smoothly. By the way, it is not quite corect that they had not seen the Prophet(pbuh) a delegation from Yathrib had come to see the Prophet(pbuh) and offered the terms at the time they issued the invitation to the Prophet(pbuh). While it is true that there is a lot in common between all the Abrahamic religions—any interfaith conversation between the three soon establishes that there is more in common between Judaism and Islam than either has with Christianity. For eaxample, both Judaism and Islam are based on intentions and actions (practice) while (Western)Christianity is based primarily on belief.